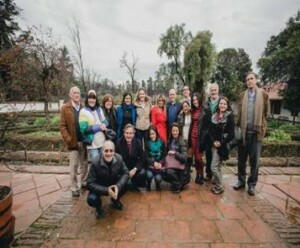 Noticias | Camara de Venta Directa de Chile A. G.
On August 6-7, 2015, the DSA of Chile hosted WFDSA’s association performance program for the Latin American DSAs in Santiago, Chile. Secretaries and company executives from the Latin American region participated in the event. The format of the seminar was very interactive. 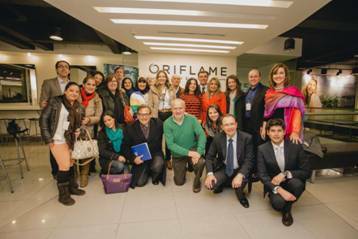 The seminar focused on various issues, including long range plan results, DSA performance standards, Code of Ethics toolkit and Code of Ethics update, exchange of best practices, public relations training, discussion on case studies and company visits of Oriflame Chile and Herbalife Chile. The seminar was very productive and WFDSA would like to extend special thanks to the Chilean DSA, Clara Herrera (Oriflame), Leonardo Palomera (Oriflame) and José Arias (Herbalife). Did your company make an extra effort in 2009 to communicate about DSA’s Code of Ethics to its salesforce and customers? If so, you should be recognized for it! Through DSA’s Code of Ethics Communication Initiative, those member companies who have completed at least five of our recognition criteria and apply for recognition will receive due honors at our 2010 Annual Meeting this June. They will also be eligible to use our Code Communication seal on their Web sites, highlighting their commitment to the Code of Ethics. Applications are now being accepted and are due by March 1, 2010, so start working on your application today. Celebrate a Century this June in San Francisco! 2010 marks the association’s 100th year of serving the direct selling industry and the Annual Meeting to be held June 6-8 in San Francisco will set the stage for the main celebration. We’ve come a long way from 10 members and an office near New York’s finger lakes, notes DSA’s executive vice president, Joe Mariano. This celebration is about a lot more than just 100 years in business. It’s about our association’s ability to connect our people, products and opportunity… to provide our members with the resources they need to be successful. The health care reform debate continues in the US Senate. Senate Democratic health care negotiators agreed last week to replace a government-run public insurance option with a scaled-back non-profit plan that would be similar in structure to plans covering federal employees and overseen by the Office of Personnel Management. This plan also included a Medicare provision that would have allowed individuals age 55 and older to “buy into” the plan. However, in light of Senator Joe Lieberman’s (I-D-Conn.) recently communicated opposition and threats to participate in a GOP-led filibuster, Senate Democrats now indicate they will drop the Medicare buy-in proposal in return for securing Lieberman’s vote. His support, along with several other moderate senators such as Ben Nelson, is essential to reach the 60-vote threshold to defeat what will very likely be unified GOP opposition to the measure. In a recent interview with CBS News’ 60 Minutes, President Obama stated that he expected the Senate to vote on its health care reform bill by Christmas. DSA will continue to monitor developments and communicate with membership as events warrant. The DSA Board of Directors convened in Washington, D.C., this past week for its final meeting of 2009 to, among other items of business, approve the association’s 2010 operating budget and consider several proposals put forth by the Ethics and Self-Regulation Committee. Dan Murphy (Immunotec), who serves as Treasurer of the association, announced that the Finance Committee is anticipating a small budget surplus in 2010. It seemed only appropriate that this report was followed by information from association executive vice president Joe Mariano highlighting the average members monetary contributions in any given year. While it seems like DSA is always asking you for money, you can see that actual contributions are somewhat minimal, no matter the size of the company providing them, Joe observed. Charts displayed showed dues dollars far out-weighing any other monetary contributions members pay to the association, with executive education and sponsorships following behind. Directors were grateful for the information, though association Chairman Tom Kelly (Avon) reminded those around the table that membership dues alone are only part of the equation. It’s like joining a health club you can pay your dues but if you don’t show up it doesn’t do you any good.